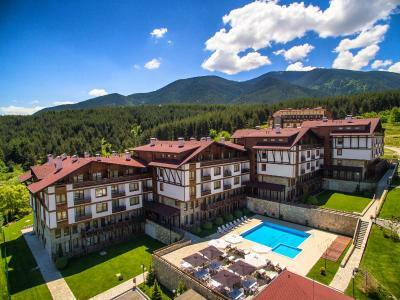 Lock in a great price for Green Life Resort Bansko – rated 8.3 by recent guests! The studio was spacious, clean and comfortable. 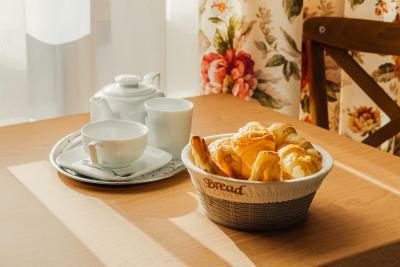 Excellent breakfast. 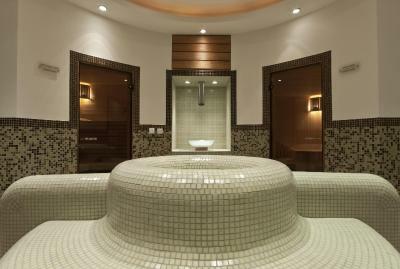 Nice spa. Shuttle bus to the gondola is very convenient. I loved the spaciousness of the apartment (F38), the length of the balcony. 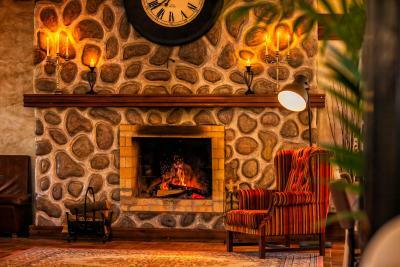 I liked the coziness and the fireplace in the living room. The bedroom was good, the mattress was really good for the posture, even though the pillows were awful. The staff of the hotel is really great and polite. 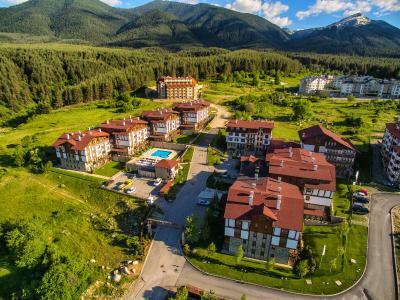 The view from the hotel is super, 'cause it is really high above Bansko, and even though it is in a walking distance from the bars and clubs, I do not recommend to go on foot by night, because there is no light like at all for more than a half kilometer. But, by day - it is just great. The nature surroundings is beautiful. Take a walk around. 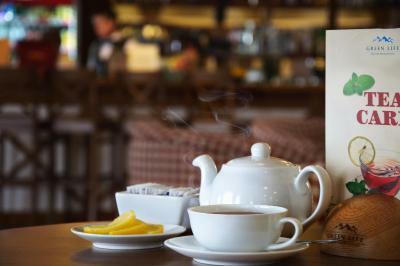 The spa is good .the breakfast is basic but good . We spent good time there. 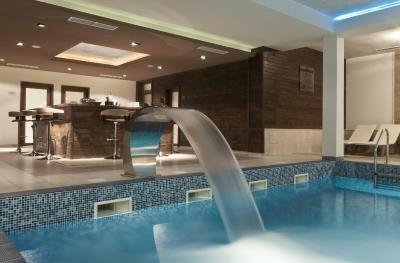 The SPA is very good. 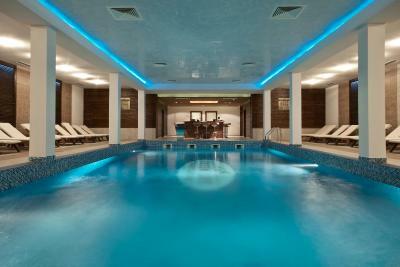 The hotel is perfect for kids, there is a place for the kids. 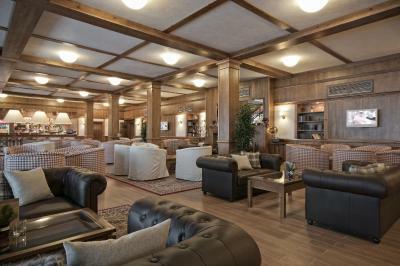 Ambient, music, restaurant, food, staff, cleanlines, ski shuttle always on time, parking is good, good spa center and pool. 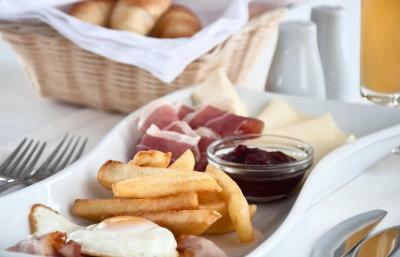 The only thing that I liked at this hotel was the food - breakfast and dinner. 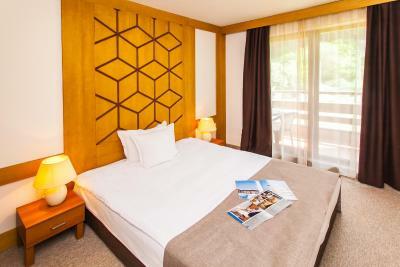 The rooms were very clean, nice furniture, good mattress. 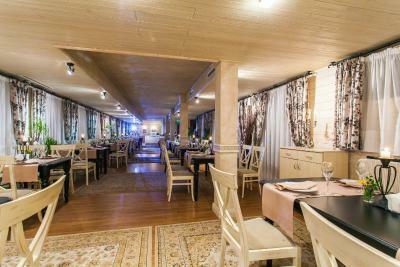 The food was delicious, the restaurant staff very helpful and opened to comunicate. 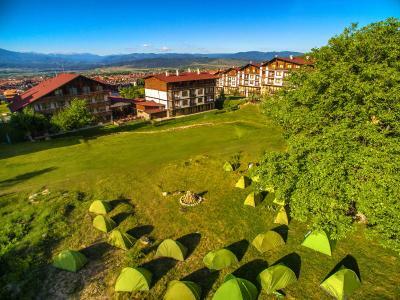 Green Life Resort Bansko This rating is a reflection of how the property compares to the industry standard when it comes to price, facilities and services available. It's based on a self-evaluation by the property. Use this rating to help choose your stay! 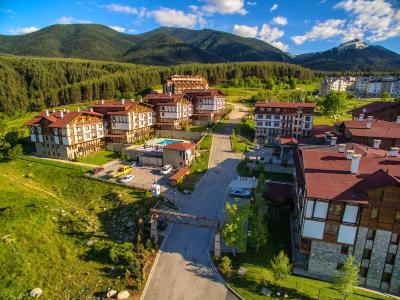 One of our top picks in Bansko.With a picturesque location at the foot of the Pirin Mountain close to the UNESCO-protected Pirin National Park in Bansko, Green Life Resort Bansko offers stylishly furnished accommodations. 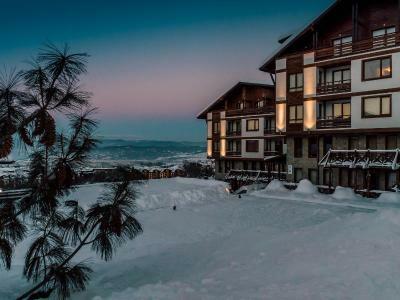 Boasting magnificent views and a host of facilities, the Green Life Resort Bansko provides free transportation to the ski elevator during the whole winter season. 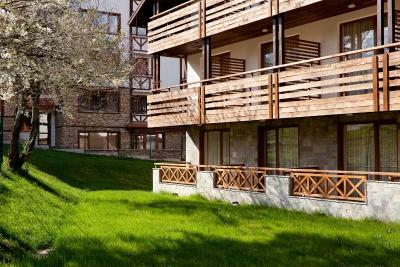 In the summertime you can unwind and enjoy the calm and peaceful lush surroundings. 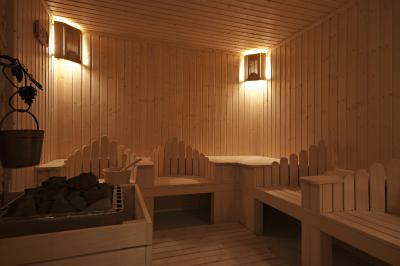 A wellness center with an indoor swimming pool, Finnish sauna, aroma sauna and steam bath operates on site. 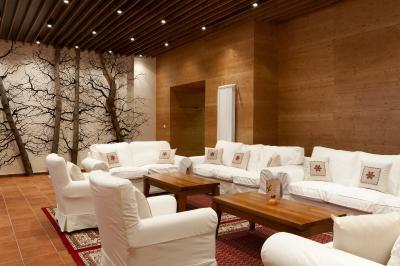 Hotel facilities include a main restaurant, a la carte restaurant and lobby bar. 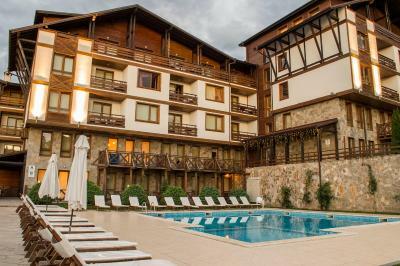 There are many supermarkets and restaurants close to the apartments, where you can savor authentic Bulgarian and international cuisine. 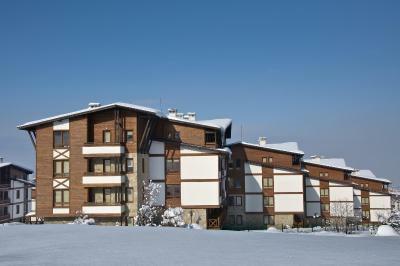 When would you like to stay at Green Life Resort Bansko? 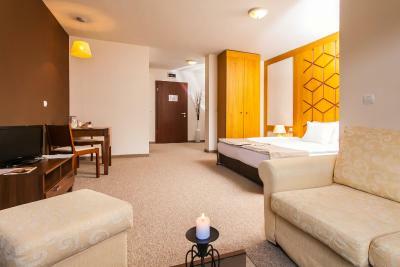 Elegantly furnished studio with a kitchenette and a balcony. A sofa bed available ideal for children. 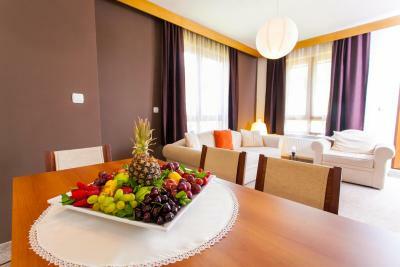 Elegantly furnished apartment with 2 bedrooms, a living room with a kitchenette, and a balcony. 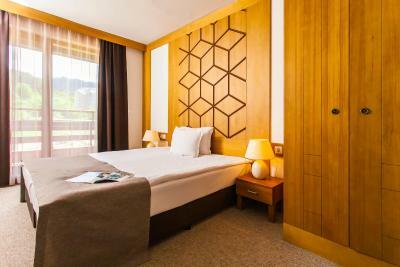 This elegant room has a flat-screen TV with cable channels and a balcony. This studio features a balcony, kitchenette and bathrobe. This apartment has a balcony, stovetop and bathrobe. This apartment features a balcony, sofa and satellite TV. 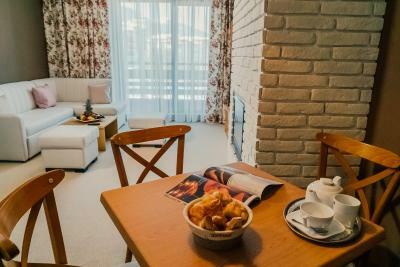 Opening to a balcony, this apartment has a separate bedroom and is fitted with a fireplace. It has a seating area and a flat-screen, satellite TV, as well as a kitchenette with hobs. 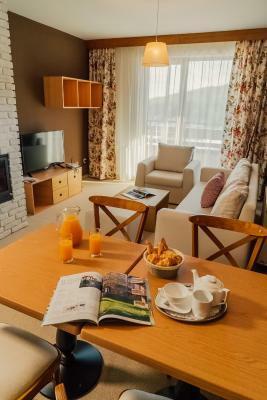 House Rules Green Life Resort Bansko takes special requests – add in the next step! 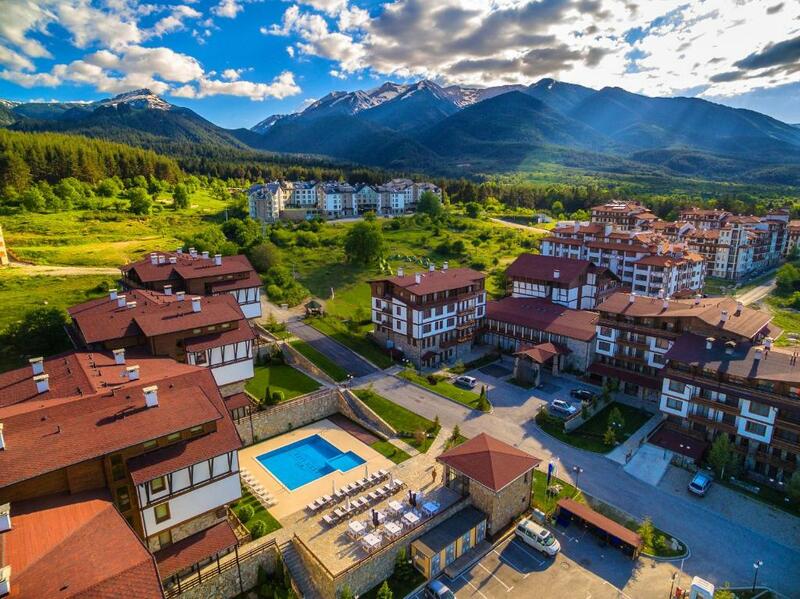 Green Life Resort Bansko accepts these cards and reserves the right to temporarily hold an amount prior to arrival. Free transfer to Holy Trinity Church is offered on the 27th of April. 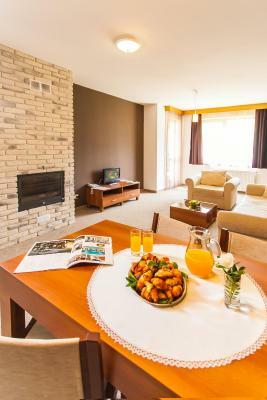 Half-board rates include a festive dinner on the 28th of April. Please note that the half-board rate for 31 December 2019 includes a Gala dinner, DJ and live performances. Nowhere to sit on terrace. Bathroom door couldn't be closed. Breakfast lacks love & attention. No coffee / thee facilities in room. Somewhat grumpy staff. Very friendly receptionist. Nice view from big balcony. Room is ok.
On the entire floor there was a very unpleasant smell like someone spilled wine all over the carpet. The smell was absent in the room though. 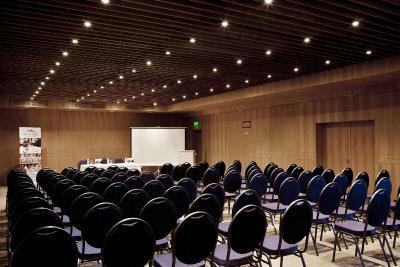 The furniture and facilities need renovation. 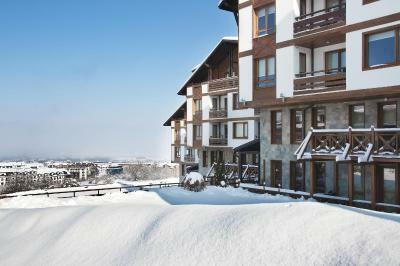 My visit was not during the ski season, but the hotel was very quiet. There was always a parking spot in front of the main entrance. The hotel has provided me with ironing facilities when I asked. 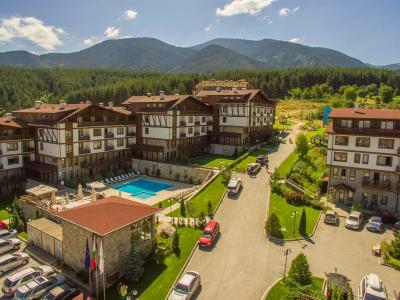 Hotel was clean, newly well furnished, near center of bansko and gondola, buffet was satisfying. 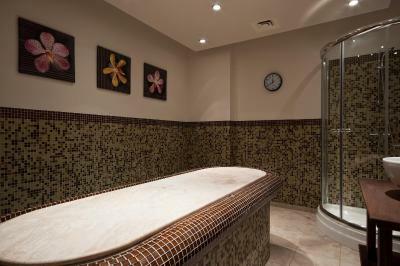 Very nice SPA facilities with different type of Saunas. All of them with written explanation how to use them and how long to stay in. Very clean swimming pool and lifeguard on duty focus at all time. All the staff very friendly and helpful. 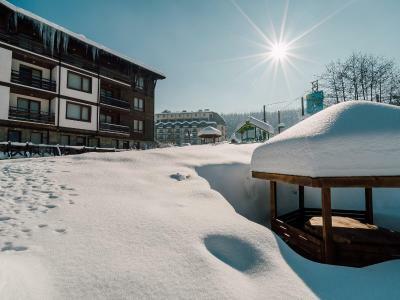 Shuttle bus in very convenient time to the Ski lift Bansko! 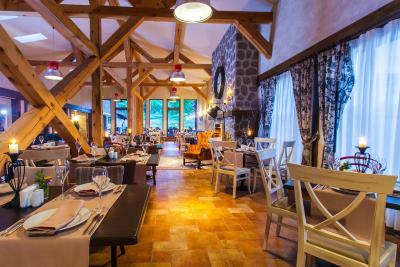 The restaurant was very clean and very good food on a reasonable prices (cheaper than the town Bansko itself), Everything you need for your holiday in one place. Will comeback soon! At night around 12 a.m. there isn't cold water, yes COLD water.. The water in the pool should be warmer. Comfortable, cozy room. Nice, well reserved and clean lodging.